Northwest Africa (NWA) 11273 Lunar Meteorite 3.18g 11273-10 - The Meteorite Exchange, Inc.
Northwest Africa 11273 was found in April of 2017 and a type specimen was sent for analysis to confirm that it originated on the Moon. 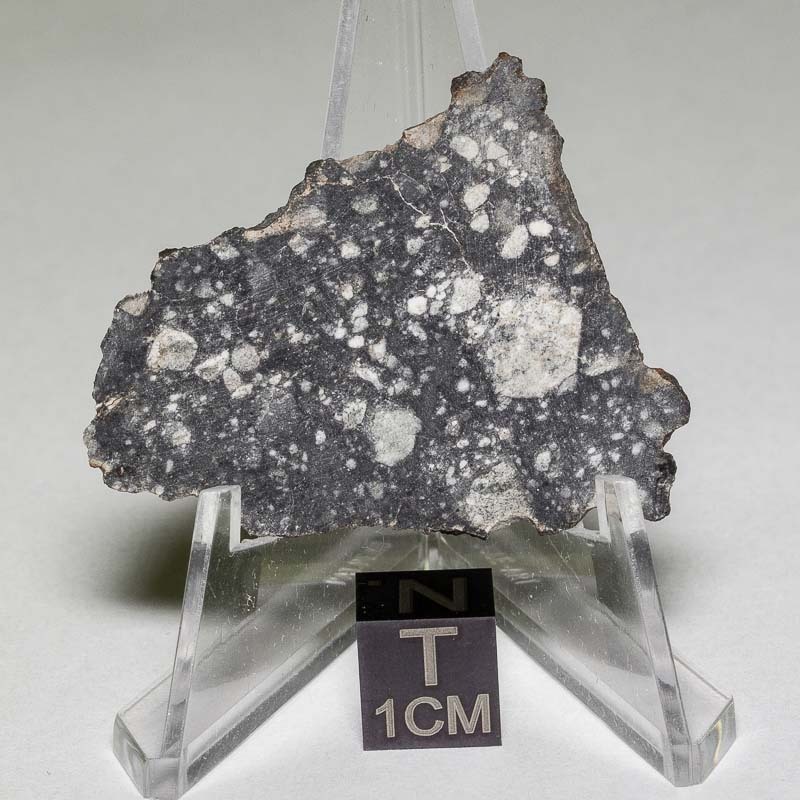 It was officially accepted as a Lunar Feldspathic Breccia Meteorite in October of 2017 and has a low stock stage and a low weathering grade. A total of 2808 grams of the meteorite were excavated from the location. These slices were cut thin to maximize the surface area of each slice and have received a polish to display the beauty of this remarkable meteorite. Many of the slices have microscopic specks of meteoritic iron. The strongly contrasting tones of the mineral clasts make this one of the more attractive lunar meteorites available to collectors.